When you get your picture taken, everyone says, “Say Cheese! Smile!” So you do; you open your mouth and proudly display your teeth. When you see the picture, you see a happy person looking back at you. The healthier those teeth are, the happier you will be. Taking care of your teeth is one of the most important parts of your daily routine. When you have a beautiful and healthy smile, you feel more confident showing it. You should brush your teeth and rinse with mouthwash after every single meal or at least two times a day. You should also be flossing your teeth every day. It is important to schedule a checkup at the dentist every six months. Once your dentist checks your teeth, he may have more specific instructions for you. Kids can take charge of their teeth by taking simple but very effective steps. Brush at least twice a day; after breakfast and before bed time. If you can, brush after lunch or after eating a sweet snack. Brushing properly breaks down plaque. Make sure you brush all of your teeth and not just the ones up front. Take your time while brushing, spend at least two to three minutes scrubbing those pearly whites. It is not just brushing that will ensure healthy dental hygiene; remember to eat your fruits and vegetables, and to drink water instead of sugary drinks and soda. These are all sure fire ways to keep kids on the path to strong and healthy teeth. Recently Dr. Jaren Jensen paid a visit to Goolsby Elementary School. 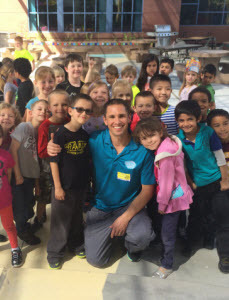 There he helped the students learn the importance of dental hygiene and teach them the proper steps to take in order to have a healthy and beautiful smile. Dr. Jensen had a great time educating the students on effective and fun dental care. He even played some games with the students to help them learn that brushing and flossing can actually become fun and enjoyable. The students went home that day with some new knowledge on how to improve their dental hygiene and a more determined desire to keep their teeth strong and their smile beautiful. 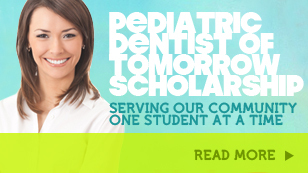 Call Smile Reef today and schedule a check-up for your child to ensure a magnificent and healthy smile. While you never have to wait to start eating right, March is officially National Nutrition Month; the month that the Academy of Nutrition and Dietetics asks everyone to pay special attention to what they eat. The Academy has designated the month of March to help focus the public’s awareness on what food they put into their bodies. Smile Reef encourages you to favor foods that not only taste good but are good for your teeth too. A great example is dairy products such as milk and cheeses that are not only delicious but also provide your body with nutrition that support tooth enamel. Another example are comforting foods that are high in protein like chicken and other meats as they also feature phosphorus; a nutrient critical to oral health. Dairy and meats provide calcium and phosphorus needed to remineralize teeth; a natural process by which minerals are redeposited in tooth enamel after being removed by harmful acids. As a general rule, you cannot go wrong by adding natural color to your diet either. By natural color, we mean vibrant fruits and vegetables that make for a colorful plate. 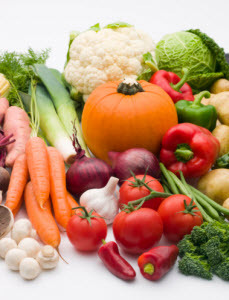 Firm and crunchy fruit and vegetables have the added bonus of a high water content which dilute the effects of the sugars they contain and stimulate the flow of saliva. We don’t mean artificial color like red fruit leather and candies! Be careful though with acidic fruits like oranges, lemons and even tomatoes as the acid can erode tooth enamel. It is better to include acidic foods as part of a meal rather than a snack eaten by itself. The foods that you eat not only have a direct effect on your overall health but also specifically on the health of your teeth; especially when it comes to tooth decay. Bacteria needs carbohydrates and sugars to thrive. That is why Dr. Jensen tells all of our patients at Smile Reef (and their parents) to cut back on candy, sweets and sugary drinks as these consist of simple sugars that feed the bacteria in your mouth, encouraging tooth decay. Hard candy such as lollipops (and even cough drops) can also stick to teeth, fueling bacteria even more. It may not always be obvious what the sugars are in the processed foods that you eat as they are not always labelled as ‘sugar’. We encourage you to read labels on food, paying particular attention for mentions of added sugar, including any ingredients that end with the suffix “ose.” Unfortunately, where nutrition is concerned, these processed foods offer little value beyond satisfying a craving for something sweet. Do not forget that good nutrition is something to focus on all year long, not just when celebrating National Nutrition Month in March. Eating right is a great proactive step in managing your dental health and Smile Reef is standing by your side, supporting you in this decision. Please contact us with any questions or to make an appointment to visit with Dr. Jensen and the supportive staff at Smile Reef.